Only 2 ingredients! 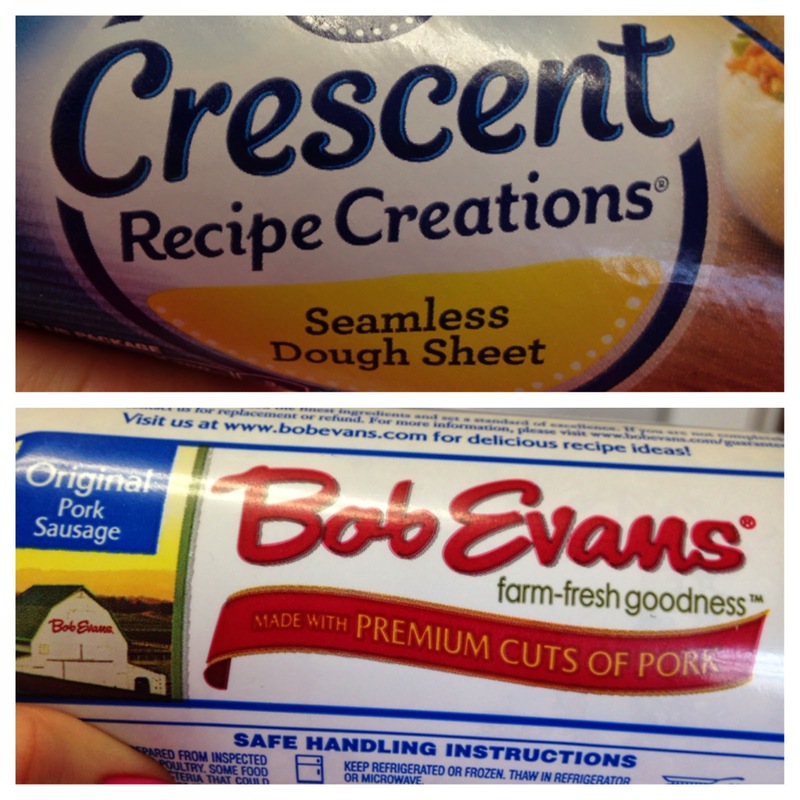 Before they made the seamless crescent sheet, I used to have to use a rolling pin on crescent roll dough. Roll out the dough on a baking sheet. 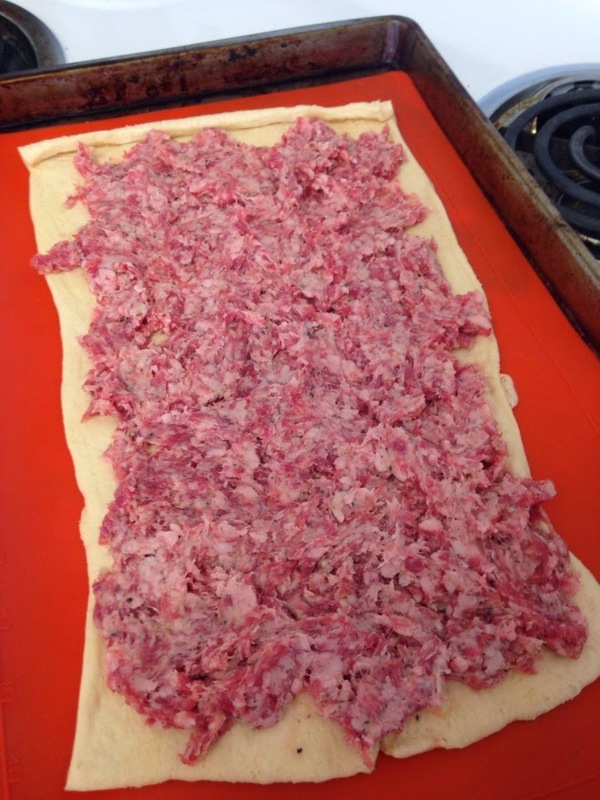 Spread sausage evenly on top. 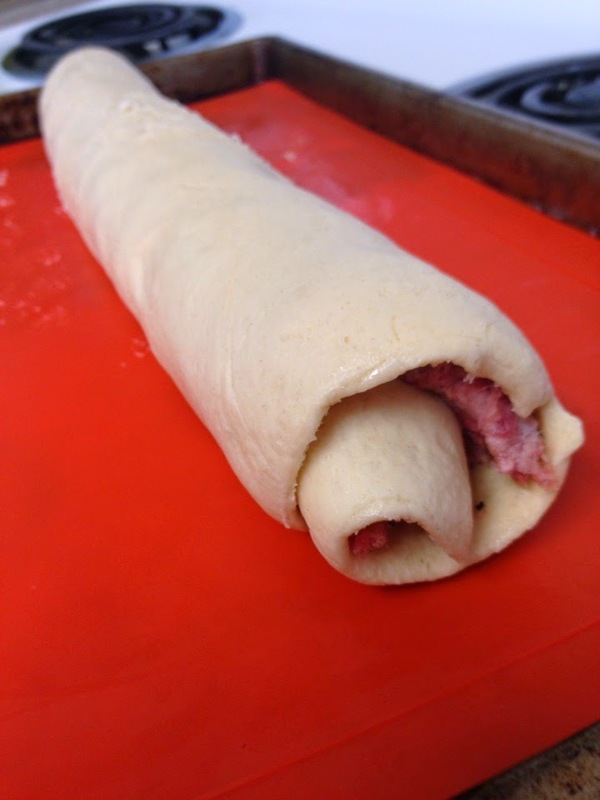 Roll the dough up "hotdog style". 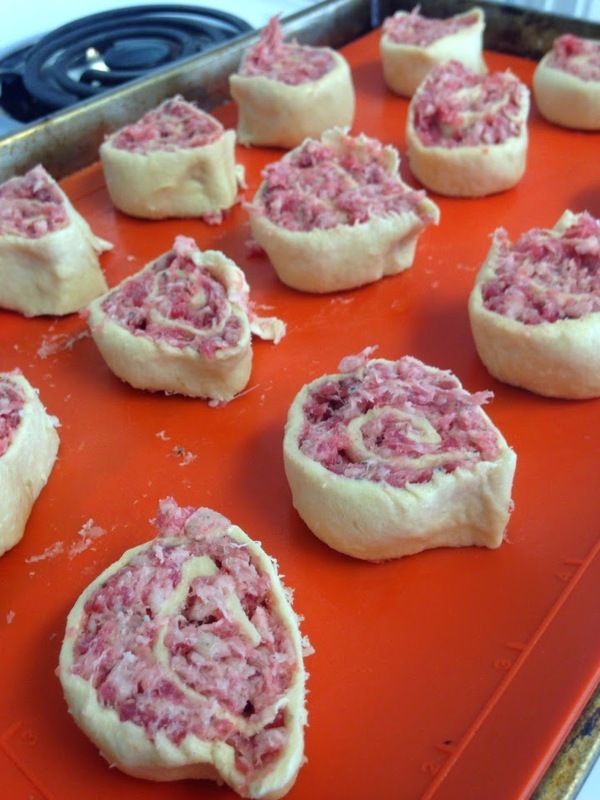 Use a sharp knife to cut pinwheels about 3/4 in to 1 in thick. 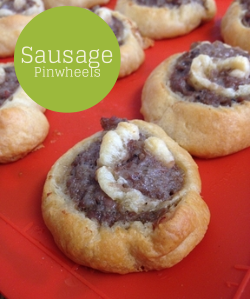 Simply bake the pinwheels in a 350 degree oven for 12-18 minutes until golden. They get a little greasy in the oven so transfer them to another plate after they're done baking. If you plan on adding any cheese or veggies, do so before rolling them up! Serve warm.